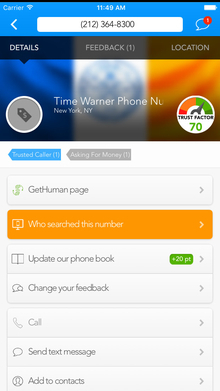 CallerSmart helps you investigate mystery phone numbers, and avoid unwanted calls and texts. Have a missed call or text from an unknown phone number? We make it fast and easy to trace a number right from your smartphone. Simply type the number into our free reverse phone lookup search bar. Then review information on who’s calling from where, alongside Trust Factor ratings and feedback from our user-driven community. Be sure to add your own feedback to help protect other users, and earn an instant boost in Caller I.Q. points! Annoyed by a persistent telemarketer, prankster or Tinder date gone wrong? We’ll help you take back the privacy of your phone number. Follow our step-by-step guides to block offending numbers permanently. Add your number to the National Do Not Call registry and easily file official complaints with the FTC. To help protect other users against the same spammers and scammers, also leave useful feedback on untrustworthy phone numbers in the community phone book! Your input helps drive our user community’s efforts against mystery and risky callers. That’s why you’ll earn Caller I.Q. points towards rewards when you identify unknown callers and leave useful feedback following a reverse phone number lookup. 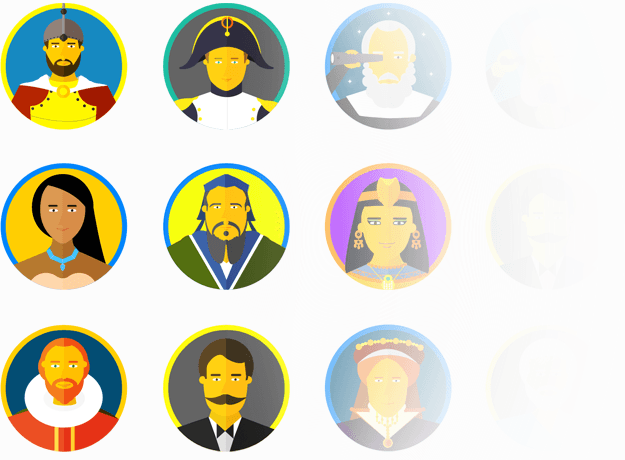 You’ll also unlock shareable Smart Badges, competing with other users to see how high you can climb in rank! First caller feedback on (760) 383-7453 shared by mikamazn: "Sorry only Latin Script is accepted"
mikamazn just unlocked their Heroine badge because their Caller I.Q. score increased - congrats! First caller feedback on (903) 280-3942 shared by bad4453: "Scammers trying to get in men's billfold "
bad4453 just unlocked their Composer badge because their Caller I.Q. score increased - congrats! First caller feedback on (540) 277-1857 shared by THeCRayOLaKiD: "Debt collections will call from"
First caller feedback on (678) 487-5149 shared by BrookeTyner: "Scam number. Called about an online request for a button just like life alert. I asked the name that filled in the request online and no reply." BrookeTyner just unlocked their Statesman badge because their Caller I.Q. score increased - congrats! First caller feedback on (234) 714-7562 shared by JitterBug8: "This number sent me a link that was a virus." JitterBug8 just unlocked their Heroine badge because their Caller I.Q. score increased - congrats! First caller feedback on (903) 303-5114 shared by echandler2015: "Threatened to have my husband arrested who he can force himself on me!!! I'm going to the police. " echandler2015 just unlocked their Inventor badge because their Caller I.Q. score increased - congrats! First caller feedback on (855) 424-5473 shared by chaz.adams1990: "Don't fall for it and don't click any link the send you!" New feedback on (877) 366-0169 by tkpsquirrel: "Unknown caller...no message...do not answer...blocked !" First caller feedback on (478) 225-6676 shared by jrs61807: "Your results are showing this as my number I do not have such a phone number please delete"
jrs61807 just unlocked their Communicator badge because their Caller I.Q. score increased - congrats! New feedback on (703) 255-8062 by Vascoli: "Navy Federal Credit Union. Great establishment, but as an obvious statement, they only call when you haven't paid something." First caller feedback on (334) 310-9281 shared by Tiger2: "Asked about Easter egg opening using my name. Did not identify themselves. " Tiger2 just unlocked their Wordsmith badge because their Caller I.Q. score increased - congrats! New feedback on (281) 849-6128 by davejhotch: "Robodialer using a spoofed number "
First caller feedback on (614) 642-0430 shared by oli31: "Promote a website and tell your friends already tried it." oli31 just unlocked their Heroine badge because their Caller I.Q. score increased - congrats! First caller feedback on (412) 223-3870 shared by e.manley2787: "Prolly scam the phone hangs up as soon as I answer. They call everyday." First caller feedback on (570) 590-8404 shared by pillar2pillar: "The name this number appears as on search records and caller ID is “john Spears” however, I know this number to be associated with a perpetrator of constant and myriad nefarious activity , all relating to cyber , phone, and emotional abuse tactics, which include but are not limited to: spoofing, pranks, callin as private number , calling as “no id”, theft and subsequent assumption of Other persons name and sensitive information. For example , john Spears? Passed away several years ago! This is just one "
pillar2pillar just unlocked their Freedom Fighter badge because their Caller I.Q. score increased - congrats! First caller feedback on (417) 844-4566 shared by Amccall: "It's a well trusted number in Springfield Missouri should be no problem at all "
Amccall just unlocked their Communicator badge because their Caller I.Q. score increased - congrats! First caller feedback on (315) 988-3586 shared by giannihammer74: "Spam caller block this nu"
giannihammer74 just unlocked their Freedom Fighter badge because their Caller I.Q. score increased - congrats! First caller feedback on (516) 882-1249 shared by nicholasamendez: "Total scam, says I inquired about changing my life on their site." nicholasamendez just unlocked their Patriot badge because their Caller I.Q. score increased - congrats! First caller feedback on (541) 238-4206 shared by jsailors0126: "Her and her daughter like to have threesomes with married me. And then harass people about it "
First caller feedback on (888) 342-7888 shared by twity: "Social security scammer threatening jail time." First caller feedback on (650) 575-7183 shared by rponce2: "Another dead air call spoofing"
First caller feedback on (650) 863-1637 shared by helenclam: "Random call, don't know this person, their number was probably used? " helenclam just unlocked their Caregiver badge because their Caller I.Q. score increased - congrats! First caller feedback on (650) 263-7436 shared by helenclam: "Random call! Who are these people?" First caller feedback on (650) 918-1998 shared by helenclam: "Don't know why they are calling! " helenclam just unlocked their Composer badge because their Caller I.Q. score increased - congrats! 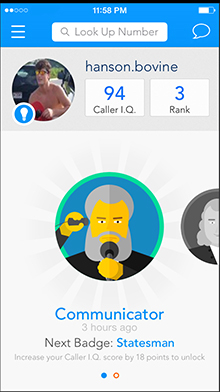 First caller feedback on (575) 527-1554 shared by WaryDreamer: "Have never heard of this person ..."
WaryDreamer just unlocked their Inventor badge because their Caller I.Q. score increased - congrats! First caller feedback on (575) 631-4621 shared by WaryDreamer: ""Because of my good credit, they can turn all my cards into ZERO percent interest!" WaryDreamer just unlocked their Explorer badge because their Caller I.Q. score increased - congrats! The Hall of Shame is full of the most dangerous spam and scam numbers in the country. You can find more information about reported spam and scam numbers in your area by visiting the Hall of Shame for your state or city. They call and never leave a message. It comes through caller is as account services. It is annoying! They are scamming! They say they are social security gov and they are not. Don't trust them. Social security is aware they are doing this and they are using this number that is legit on social security website by masking their line by using social security 1800 number. Social security said they will never call you to tell you your social has been compromised, they would send you a price of mail letting you know. Don't verify anything with them. Chase auto loan seeking payment on your vehicle. Chase auto loan looking for payment. Robo caller for " Card Member Services". Unknown caller...no message...do not answer...blocked ! Repeatedly calls asking for collection on an account I didn't open and doesn't even appear on my credit report. Doesn't even get my name right. robo call with female voice that switched to male voice stating I had insufficient funds for an account that does not exist and gave me 24 hours to respond or boarded out for processing and additional fees would be added. Called asking to speak to head of household. I told them not to call and then dead air. Calls but never leaves a message. Wanting to sell something about travel and then hangs up on you. Very rude. Robocall told me my social security number was suspected for fraudulent activities and to give them a call back on 508-281-9573. Never called the other number.